DofE Gold award for Frazer. 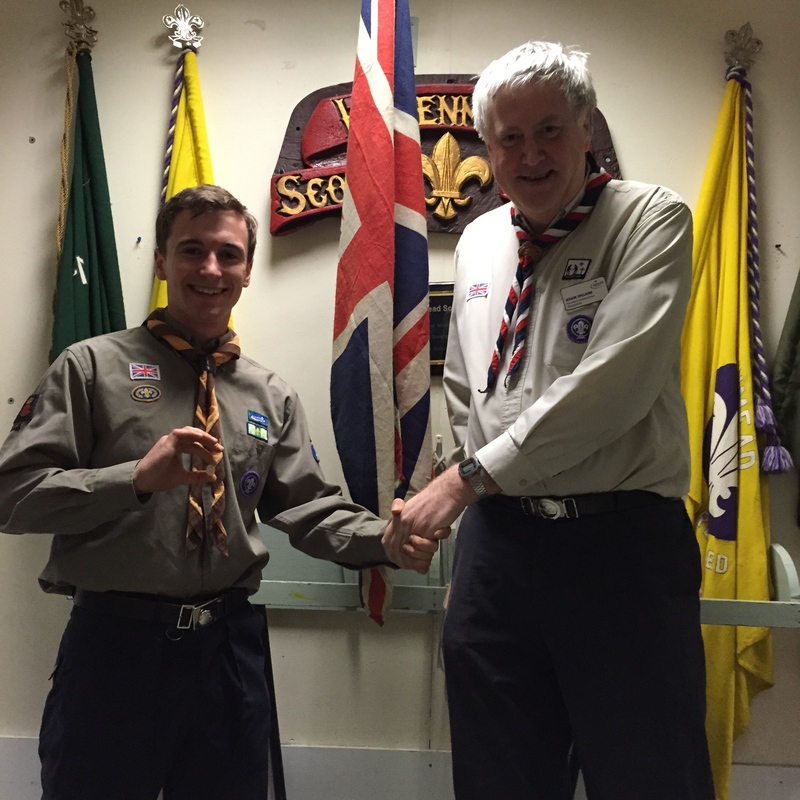 Last Friday Frazer Attrill was presented with his DofE Gold award! He has been away at University in New Zealand so we have had to wait for him to come back for Christmas to do it. Making the presentation was Adam Jollans, our County Commissioner who managed to beat the traffic and be there on time. Also present were Richard Merefield, our District Commissioner, and the proud parents Malcolm and Leanne. The Explorer Scouts looked very smrat in uniform for the occasion and we were trated to a lively slide show and presentation by Frazer of some of his outdoor exploits. After refreshments of teas, coffees and stollen, Jake Holland gave us a fascinating talk about his trip to Equador last summer. Both presentations featured amizing photographs of the countries visited and generated lots on interesting questions. Our thanks go to Adam and Richard for supporting this event and well done to Frazer and Jake for making this a memorable evening.